Our 20ft. 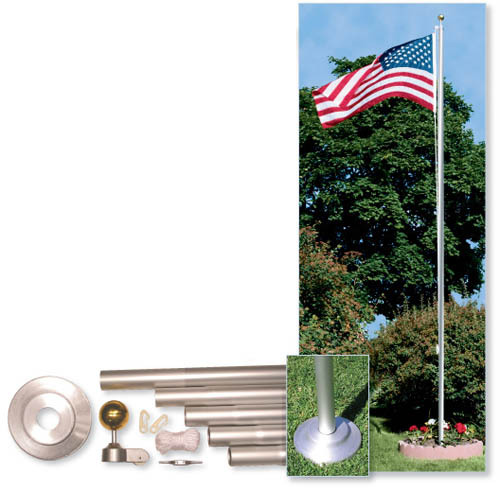 Residential In-Ground Flagpole sets are ideal for homeowners looking to install an inexpensive flagpole on their property. 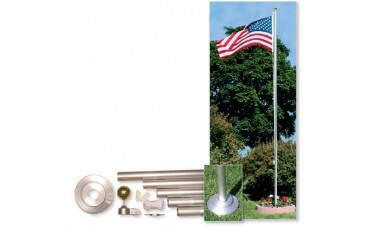 This flagpole set is constructed of 18 guage Aluminum with a Satin finish. The pole is comprised of 5 sections and is 2 inches in diameter.